A lengthy route capturing the flavour of the landscape between Eston Moor and the North York Moors. 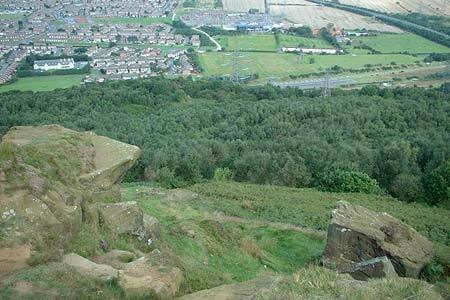 The walk lies within the boundaries of Redcar and Cleveland and includes the high points of Eston Nab, Roseberry Topping and Highcliffe Nab each offering a different perspective of the landscape. Map booklet of the Cleveland Way National Trail, a 177km (110 mile) walk around the North York Moors National Park. This booklet is included with the Cicerone guidebook to the Cleveland Way and the Yorkshire Wolds Way, and shows the full route of the Cleveland Way on Ordnance Survey 1:25,000 maps.